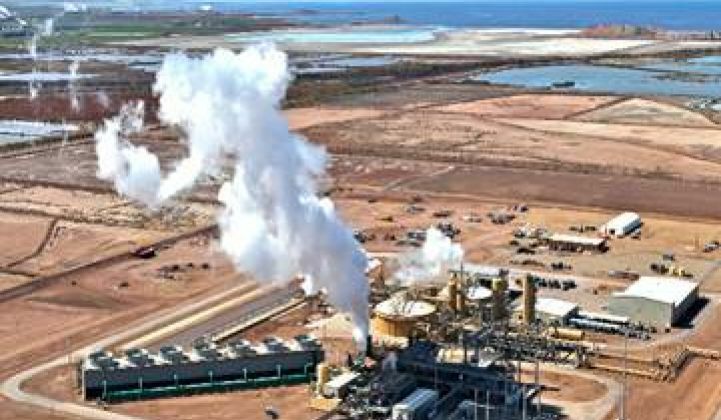 The attraction of geothermal energy is that it is a baseload, emissions-free, renewable energy source -- and the challenge is that finding it and producing it puts capital at risk. Between March 2012 and February 2013, seven U.S. geothermal projects came on-line. In 2012, U.S.-installed geothermal capacity grew by 147.05 megawatts, a 5 percent growth rate. Though up to twice as many plants could become operational in 2013, compared to the wind industry’s 13 gigawatts in 2012, and the solar industry’s 3 gigawatts, those still are not impressive numbers. The Geothermal Energy Association (GEA) U.S. and International Geothermal Energy Finance Forum in New York City took up the question of what’s holding the industry back. 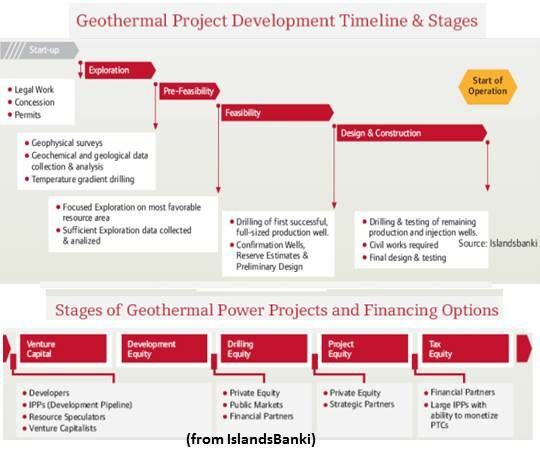 Average development time for a geothermal project, beginning with exploration and exploratory wells, is 7.5 years, explained GEA Executive Director Karl Gawell. Commercial financing only comes when the resource is proved and power plant construction begins up to three years into the project cycle. When Senate Energy Committee Chair Senator Ron Wyden (D-OR) recently called geothermal a forgotten resource, said MidAmerican Energy lobbyist Jon Weisgall, he meant that geothermal has not been able to benefit from federal tax benefits like solar and wind. Geothermal got access to the production tax credit (PTC) in 2005. But wind, as a more nimble resource, has been able to take greater advantage of the PTC. The industry needs to work more closely with government to find some kind of method -- a tax program, a loan guarantee program or something else -- to de-risk some of the upfront costs. "The utility side of MidAmerican," Weisgall added, "can pencil out the cost of a wind or solar project more readily than we can a geothermal project and we have been able to begin and finish wind projects in a much shorter time than geothermal projects."